Refinished Coffee Table by Little Bit of Paint. I LOVE the look of dark stained wood paired with white. Therena did a beautiful job. Head her way to see how she built in the lower shelf. Kit Kat Cookies by Life with the Crust cut off. Kit Kat's are one of my favorite candy bars. These cookies look so yummy! 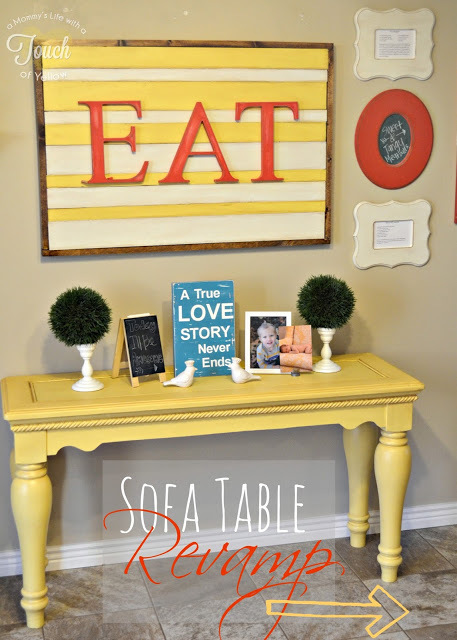 Sofa Table Revamp by A Mommy's Life... with a touch of Yellow. Another great makeover - she has a thorough step by step. I'm itching to get to a few more yard sales before the season is over so I can find me a sofa table to redo. Thanks for the fun party, Rachel! Hope your Monday was great and the rest of your week is as well! Thanks SO much for featuring my coffee table Rachel! And thanks for hosting!! Have a great week! thanks for hosting! Love those cookies!! 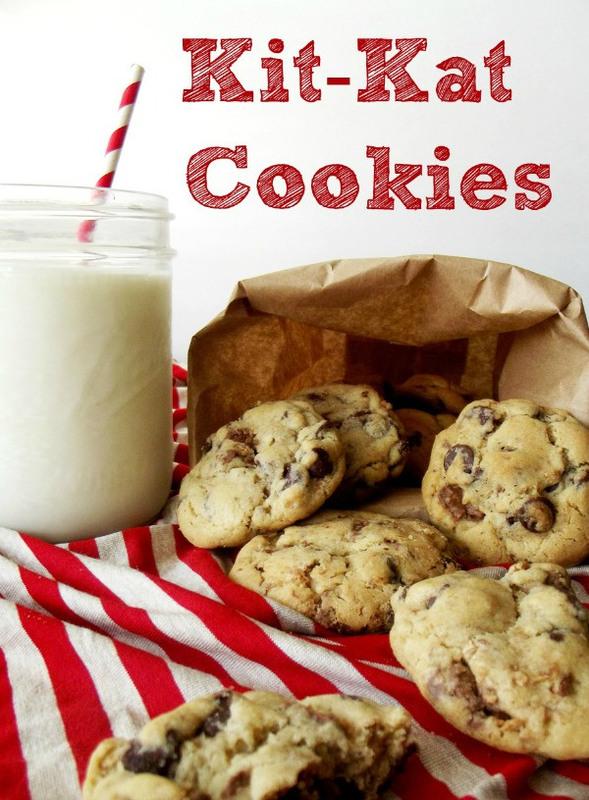 Thank you so much for featuring my Kit Kat Cookies!! Found your wonderful blog and link party via Gingerly Made. Nice to be here sharing creative inspiration. I'm now following you, and hope you can come by http://altered-artworks.blogspot.com and say hello.